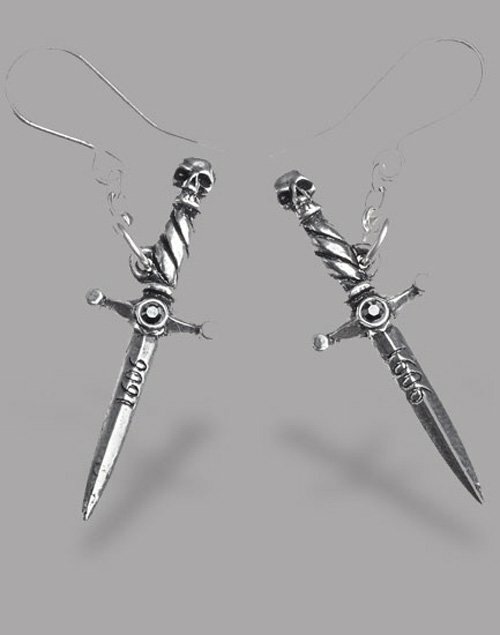 Shakespeare Earrings Gorgeous dagger earrings, stamped with the date 1606, the year that Shakespear's Macbeth was first performed. 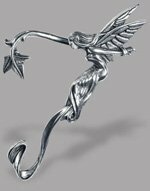 Show off Your Shakespeare Spirit! Beware the seduction of ultimate power - megalomania will bring about your own downfall. These earrings represent the ultimate themes of Macbeth: Violence and destruction descend when ambition goes unchecked by moral constraints. 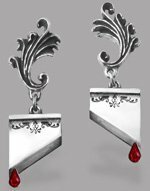 Gorgeous dagger earrings, stamped with the date 1606, the year that Shakespear's Macbeth was first performed. A skull sits in place of a pommel on this dagger, reminding us all that no matter how powerful you may be, death waits patiently. A beautiful tribute to The Bard and his darker themes. 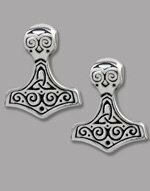 Made in England from polished pewter, with Jet Hematite Crystals and surgical steel posts. Fine English Pewter, Jet Hematite Crystals, Surgical Steel ear posts.